This summer I spoke to a woman from Afghanistan who told me in Persian about the loom she had worked on that was three times the width of my largest loom. 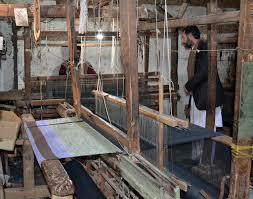 This family cannot easily go back to their homeland and she was thrilled to see the looms. We were thrilled to meet them.